The onset of tablets and smartphones has dramatically changed the way people interact with each other and spend their time. It also has a significant impact on their consumer habits. In the past, they would watch TV, read the news, or talk to their friends to make decisions about what to buy. Now, they can use their mobile device to make these all-important decisions. Since people spend so much time on their phones, marketing is crucial for a company or product. It is particularly important for game developers to utilize app marketing to promote their efforts. When marketing, make sure to avoid these common mistakes. Mobile phones work like computers, but they have a different look and feel. If your marketing efforts are not designed to work on a phone, then you might miss out on opportunities to reach the customer. People want to be able to see a game or site easily, without having to make screen adjustments. In addition, they respond better to designs that are simple to use. Since they will not be using a mouse, it is important to have apps that are touch-friendly. 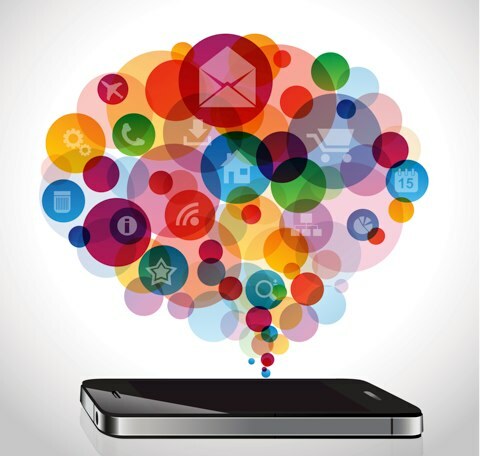 Mobile marketing efforts should try to abide by the same principles. There are millions of apps available to download. If you want the one you design to become popular, you need a marketing plan. Typically, it is better to create a plan before your release your app. This allows you to promote the release of your app on social media outlets. People will be able to preview it, and they will have more incentive to download it on the release date. You can also promote your app after it is released so that it remains popular. Many companies build websites and call them apps. It is easy to call something an app, but customers know the different. If it functions like a website and doesn’t make the consumers life easier, it is probably a website. Apps are designed for increased functionality, for gaming, and more. Several companies make the mistake of assuming that customers are using their apps regularly – simply because they downloaded them. This is not always the case. In fact, 90 percent of apps that people download disappear within six months. This means that your mobile app marketing plan needs to focus on retaining the customer. You can use analytics to make strategic decisions about your app, so you will not lose as many customers. Also, many apps use social media to promote their apps and increase awareness about it.